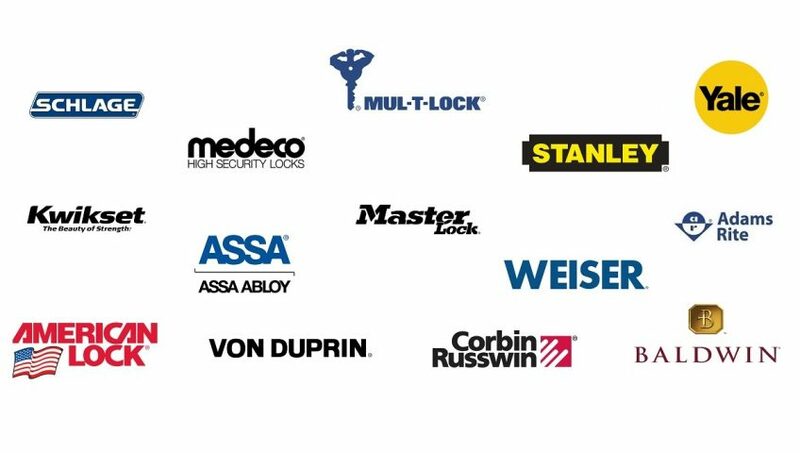 When a list of the most trusted door lock brands comes to mind, it does not just suggest you should trust the brands; rather, it tries to explain that these are brands that people have trusted over time. In this article, we will examine whether people have invested their trust in these brands or if this trust was just a form of deception from the companies. Obviously, these brands have different lock modes with different abilities. What this means is that each lock would have a different level of strength and porosity which may not really match with the companies’ profile. Well, to get balance information, it is ideal we represent facts, rather than taking sides with few selected key lock companies. If you visit most stores to buy a key lock, you’ll certainly find Schlage locks. They are quite expensive than Kwikset but have a strong and sturdy look, and are hard to pick. Schlage company have different types of models but their least quality and cheapest keys are certainly better than the cheapest Kwikset. Everest and Primus which have a cylinder look are widely accepted due to their ability to resist pick and bump, but they are certainly pickable and bumpable. Key locks from Schlage are largely dependable with low prices and are widely accepted by the public. This brand is top as a household name. Going by description, the Mul-T-Lock is easily recognized when sighted. Most people rely on their strength and sturdy built. Often times, a user needs to have good knowledge about the lock in order to make it pick. With these descriptions, it is certain that Mul-T-Lock is a brand to depend on. Most people have used this model even without knowing it by name. Kwikset is very popular in most doors in the USA. Apart from its popularity, it is very affordable and for efficiency, it is less durable compared to other brands. The lock is very easy to pick and it is bumpable. This brand is seen to have the best lock, even as lots of people use it. Though people have mixed opinion about the functionality of the lock, the fact is that not many people have the skills to pick it. One challenge Medeco has is that they always upgrade their design in order to keep up with patents and as this continued, the lock became less strong. But, in 2012, the issue was resolved. Yet, that old negative impression on the minds of people hasn’t changed for good. Yale has a wide trusted reputation. With this, it will be difficult for anyone to make unsavory remarks about them. In addition, they are the creators of the popular pin tumbler lock. By implication, it means that other stronger brands are taking a cue from the Yale brand. In conclusion, the profile of a certain brand does not mean the key lock is durable. All you need to do is, make good research and find the best fit for your door. Feel free to contact Tucson Locksmith 24, with any question or request! Your Best Choice for Locksmith Services in Tucson AZ!